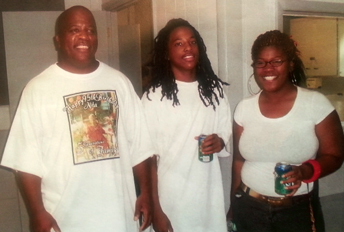 Parents say memories of their son feed determination to find out the truth about his death in Valdosta, Ga.
(FinalCall.com) - A funny young man who sang in the shower, dreamed of playing college football and liked teasing his older sister. That is who Kendrick “K.J.” Johnson was to his family and those that knew him, said parents Kenneth and Jackie Johnson, in an exclusive telephone interview with The Final Call. In sharing what made him so special, the couple said those memories are at the root of their efforts to seek justice in his death. “Kendrick was a nice young man. I’m not saying that just because he’s my son. We never even had any problems with Kendrick. We never had to make him do things like you have to stay on most young kids and push them and just make them do the right thing,” said Mr. Johnson in a Nov. 8 interview. Kendrick was determined to “be somebody,” he added. According to Mrs. Johnson, Kendrick had a good sense of humor. She was interviewed the same day as her husband. “He would do little stuff just to aggravate my daughter. He’d come in from football practice or something and just go jump on her back and just make her so mad and just bust out laughing and run, have her chasing him, all kinds of little crazy stuff,” Mrs. Johnson shared. The body of the Johnson’s youngest son was found inside upright gym mats Jan. 11 in the gymnasium at Lowndes High School in Valdosta, Ga., where he was a student. Local law enforcement ruled the death accidental, a claim Mr. and Mrs. Johnson, their attorneys Chevene B. King and Benjamin Crump and others vehemently dispute. They argue Kendrick, 17, was murdered and there has been a cover up about what really happened to him (See coverage in The Final Call, Vol. 33 No. 3). “He just was a loving child you know,” said Mr. Johnson. His son loved football, but also played basketball, ran track and loved to laugh. Kendrick was determined to play college football for the Florida Gators after graduating high school and had aspirations of making it to the NFL, added his mother. Kendrick never caused problems in school and his parents say they never received calls about disciplinary problems, like being disruptive or talking back, she added. Kendrick also had a quiet side but stayed friends with classmates he had known since elementary and middle school. While most teens are busy hanging out with friends, Mrs. Johnson said her youngest preferred staying at home with his friends, occasionally going to the mall or going to get a bite to eat. Kendrick was a child any parent would want to have, she added. “Within the family, he was a comedian of the house. He was just a joy. You know sometimes, the youngest one of the family, looks up to everybody, well you know, everybody looked up to Kendrick,” said Mr. Johnson. The youngest child often gets his way and such was the case with Kendrick, the father continued. The teenager’s death has deeply saddened and impacted his older siblings, a brother, 23 and sister 20. They have dealt with their baby brother’s death in different ways, said their mother. “It’s just hard. He was the baby … everybody protected him. They feel like I do at times, that we didn’t protect him that day where he needed us most. Where were we at? Even though it’s not our fault, that’s how we feel,” she explained. Mr. Johnson said though video footage from the school has been released to family attorneys, the quality is poor. He and his wife have not viewed the footage. Lieutenant Stryde Jones of the Lowndes County Sherriff’s Department agreed to let the couple come in and view footage after Kendrick’s body was discovered, but that promise was rescinded “two or three” days later, charged Mr. Johnson. The parents were told they could not view footage because there was an ongoing investigation, he added. According to Mr. Johnson, some of the footage has been described as blurry and there are no time stamps on some images. “We don’t know what day is which,” he said. Mrs. Johnson doesn’t know who else may be on the tape but she is certain her son’s death was no accident. According to a sheriff’s department spokesperson, another student is seen on some of the footage along with Kendrick, entering the gymnasium that day. In a previous interview with The Final Call, a sheriff’s department spokesman said the department interviewed over 100 students at the school. “I’m not sure why the other kid was going in the gym but one thing I’ll say is that my son was murdered and it’s no ifs, ands or buts about it and some of those kids at that school murdered my child,” charged Mrs. Johnson. Asked how the public can support the family, Mr. Johnson said there is still a push for the Justice Department to conduct an independent, thorough and fair investigation. Mr. Johnson also said reports that some of Kendrick’s friends received threats via social media are true. “It goes to show you these things are happening to our Black kids and it seems that no one cares,” Mr. Johnson said matter-of-factly. Meanwhile his family has had little time to grieve. “We have been fighting for justice from the very beginning, from the day that they found Kendrick we started fighting for justice. We haven’t had time to grieve and really you know, we just take it day by day,” said the father. It is sad when you are the victim that you have to push for justice, he added. Were it not for prayer, Jackie Johnson does not know where she would be with all the family has had to endure. “Just knowing that was our baby, our child that they took from us, like it’s okay. We have to stand up. He can’t talk no more so we’ve got to be his mouthpiece. We’ve got to be his voice. 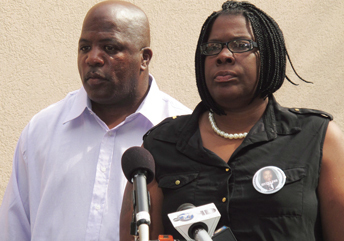 In order to get justice for him we’ve got to get up and fight everyday whether we want to or not,” said Mrs. Johnson. Admitting there are tough days, Mrs. Johnson said she and her husband who have been together over 20 years try to take some time to deal with their pain as best they can. But what the couple lives for right now, she said, is fighting for their son. Daily protests have been held in front of the Valdosta courthouse every Monday through Friday from 9 a.m. to 5 p.m. to keep attention on the case. The demonstrations are supported and attended mainly by the Johnson family. The couple refuses to let small numbers deter them. “We have some support from some people but like I say we are just going to push until we overcome and until we show them and we’re going to demand attention,” said Mr. Johnson. “I’m torn to see they’re killing our little Black boys like it’s nothing but what the public needs to know is that our little Black boys, they matter. They’re somebody, they’re our sons. Kendrick was not just my child, Kendrick was everybody’s son,” said Mrs. Johnson. The couple is asking for continued prayers and spreading the word about the case through social media. “Keep putting Kendrick’s story out there. Keep telling somebody out there about that little Black child that was found rolled up in a wrestling mat,” said Mrs. Johnson. The family also wants supporters to call the office of U.S. Attorney Michael Moore at (478) 752-3511 and demand a full Justice Department investigation. 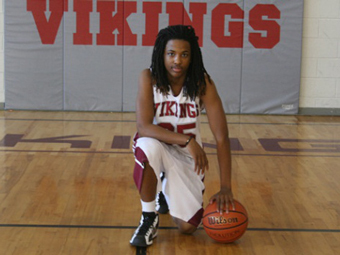 For more information, visit the Justice for Kendrick Johnson Movement website at www.justiceforkendrickjohnson.com.